Hiking is indeed a fun adventure and leisure. It can give us a break from the stressful, mundane routine we have when we are in our homes or workplace. However, you cannot fully enjoy the pleasure of hiking if you don’t have the right gear with you. With that, choosing the best backpacks for hiking should come as a priority. There are a lot of choices when it comes to hiking backpacks. We can see that there are a lot of manufacturers that sells this outdoor product, which is not surprising already. However, we want to get much as our budget can offer. We are looking for backpacks that do not break or hurt when we take them to a climb. When it comes to hiking backpacks, many already attested to the quality and performance of Osprey Atmos 65 AG. First, this backpack gives maximum comfort if you are carrying a load of less than 40 pounds. It has the technology called the AG or the Anti-Gravity suspension, which is more efficient that the suspended and trampoline style suspensions. This one can suspend the back panel and hip belt together. The adage “last but not the least” perfectly applies to the North Face Banchee 65 backpack. Being included in our list of the best backpacks for hiking means that this climbing gear has all that it takes. Even though the North Face Banchee 65 is on the heavier spectrum, it is still surprisingly comfortable. We tested and tried this backpack in different hiking occasions, and we found out that it has a pleasant back panel and shoulder straps. Even if you rub the outer face to your skin, it doesn’t feel itchy and annoying. You can never set aside OutdoorMaster Hiking Backpack as one of your choices in the best backpacks for hiking. It has all the qualities that you are looking for a backpack that can survive several hiking climates and condition. Moreover, it is quite roomy that it has a maximum capacity of 50 liters. Specifically, the OutdoorMaster Hiking Backpack has its entire construction covered with exceptional foam to make it comfortable to carry. It has a set of sophisticated shoulder straps that enables it to provide comfort to our body even if we are carrying heavy loads. One of the leading backpacks today is the Everest Hiking Pack. Do not get daunted by its name. This product is suitable for pro and amateur hikers alike. Specifically, this backpack is commonly used by hikers around the world because it can accommodate hefty loads (around 60 pounds or more). Aside from that, this backpack is ideal when you are planning for extended trips on the mountain. Moreover, we know that most of the Everest backpacks are heavy, but this one is an exemption. One of the camping backpacks that you should try is the Sports Scout 3400 of Teton Sports. It has an amazing construction, made from sturdy polyester that ensures its rigidity and toughness. 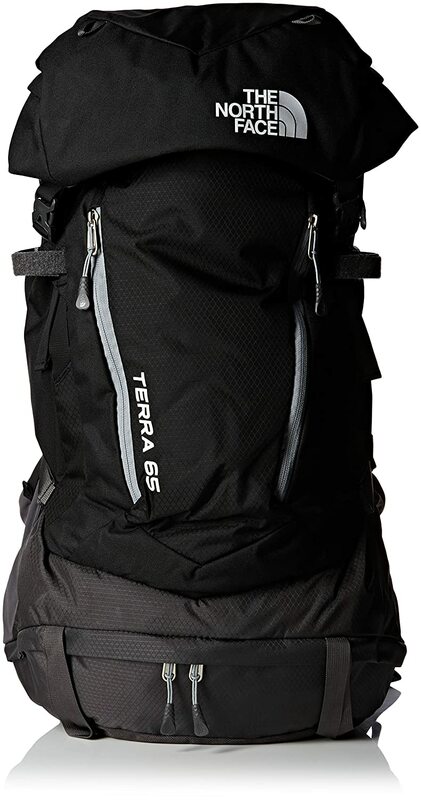 With the overall dimensions of 30 inches x 17 inches x 12 inches, this camping backpack has a maximum capacity of 55 liters. If it is empty, this product only weighs 4.5 pounds. These features make this Sports Scout 3400 an ideal camping gear for extended outdoor trips. **Below, you’ll find more detailed reviews, but you can also click the links above to see current prices and read customer’s reviews on Amazon. 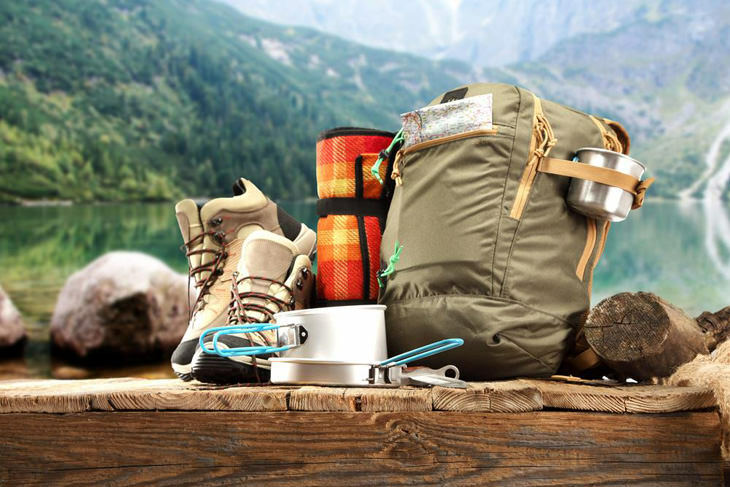 How To Choose The Best Backpack For Hiking? Fortunately, we made a list of some of the best and tested-and-proven hiking backpacks in the outdoor community. These backpacks have their gears tested already in different climates and conditions. But before introducing them, take a moment to familiarize some relevant guidelines in choosing best backpacks for hiking. The most important question you need to ask yourself is what’s the capacity of the backpack that you need. However, this can be limited by factors such the need to fit in an overhead bin when on a plane. The standard size on U.S airlines is of 22 by 14 by 9 inches. Capacity should be determined by how much equipment you are required to carry. This is why you need to have more than one volume pack for different occasions. A huge determiner for backpack capacity is the trip length. 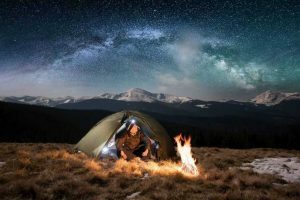 Are you buying the pack for a specific trip like a thru-hike that will last several months, or are you buying it for a once-a-year weekend mountaineering trip? If you are buying for a certain trip, it’s easier to determine the length that your trip will take, the necessary that gear you’ll bring, and therefore what capacity to select. 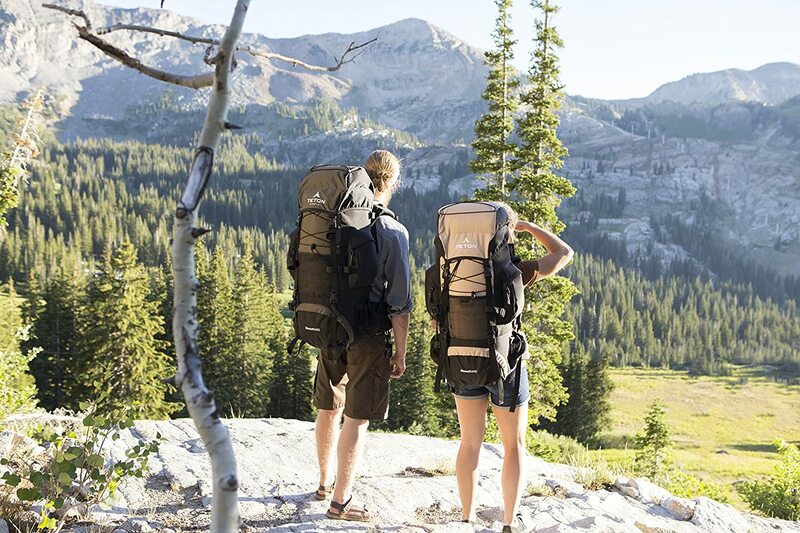 If you’re buying a backpack for general use and you usually take trips of various lengths, you should choose either two different packs with different capacities or select a pack that’s large enough for the long trips; a pack that can be stripped down and be compressed for the shorter trips. Hiking is a very good way to enjoy nature and also improve your health. 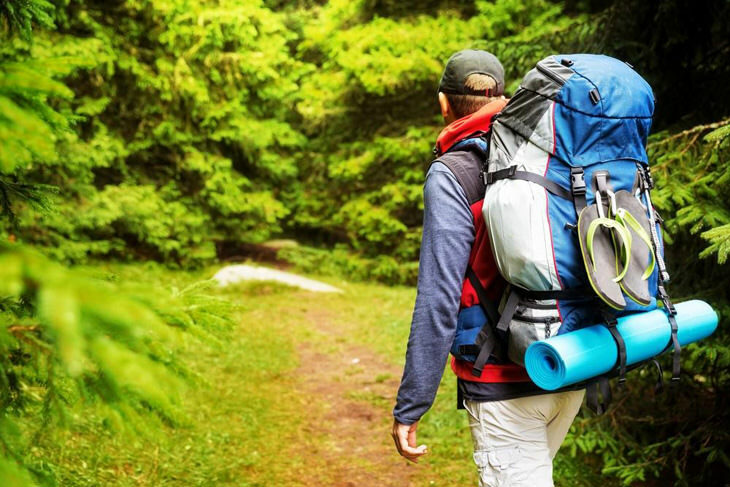 When it comes to choosing the best backpack for hiking, you should make choices that are always aware of the environment as well as your wellbeing. PFCs are chemicals used for adding waterproof and dirt-repellent finishes to out-of-doors clothes and gear. However, they are dangerous to both the environment and human health. According to reports, some PFCs can cause aggressive effects on the reproductive system as well as the immune system and is also a potentially carcinogenic in animals. They also report that once the PFCs are released into the environment they tend to break down at a slower rate and therefore they can remain in the environment for many years after being released and are dispersed over the entire world. The best way to determine if a pack is PFC free is by doing a research on the company’s website for information. 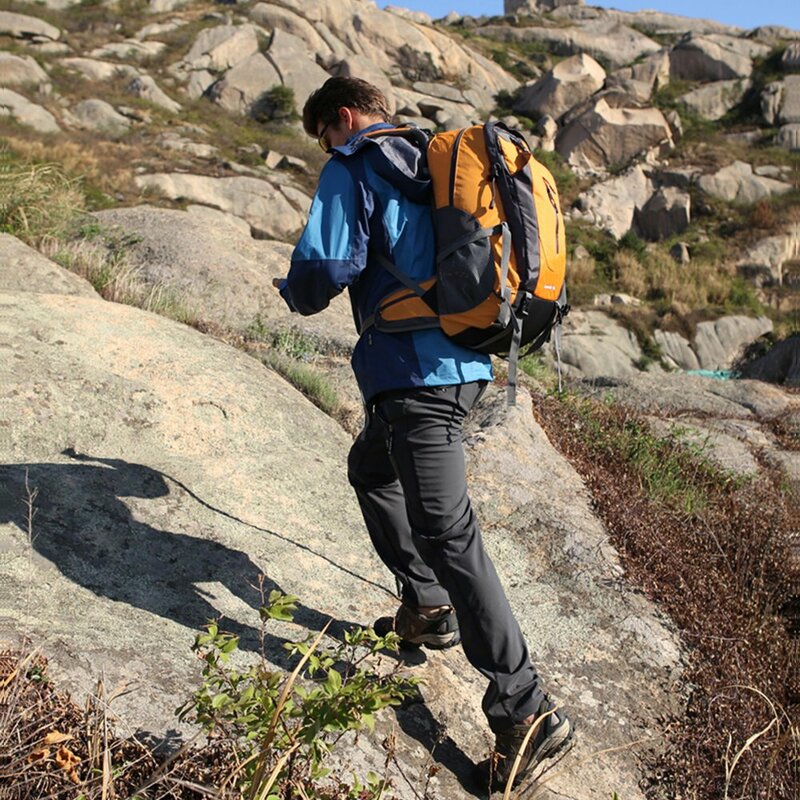 Once your pack is loaded up and on your back, you have to lean slightly forward. As you climb steeper terrains, your body adjusts by tilting even slightly more forward than when you are hiking on flatter terrain. While you are in this body position, majority your weight should fall on your hips; roughly a total of 65 to 80 percent of the weight. The remaining weight should be spread out on the fronts and tops of your shoulder strap. So you should purchase a backpack that fits you around your hips and also wraps around your shoulders well. Having a lightweight pack is a good thing; it is also a good way to reduce the weight of the load that you carry on your back. The lighter packs often do not have smart suspensions or comfy straps. If you tend to bring along a few of extra comforts of home, favor longer trips, or you just end up taking everyone else’s stuff, this will help you benefit greatly from a pound or more of suspension and padding. However, the heavier backpacks also tend to be made of more durable materials and they have more bells and whistles, hence they tend to last longer than the ultralight backpacks. Backpacks can be a bit different in terms of the toughness and longevity. But the truth is that not everyone needs to have a super durable pack or carry the additional weight that comes along with it. You should ask yourself what is the most important thing to you: your comfort, durability or carrying a light load. 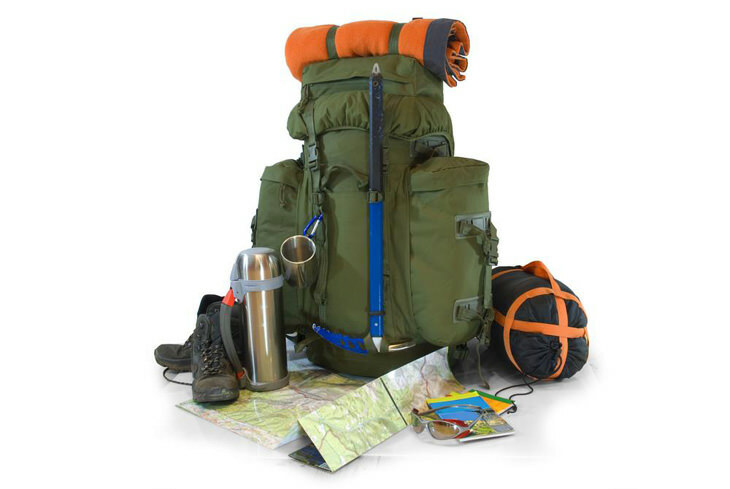 A correctly sized pack is very crucial to your comfort and the pack’s functioning. If the pack is too big or too small, weight will not be evenly spread hence putting pressure on different parts of your body. This makes hiking and moving very difficult and painful. When you are carrying less amount of weight, the size of the pack is not that important. For hiking or mountaineering, you need the correct size for long term comfort. When selecting a size from a typical scale of small, medium, or large it is your torso length, not your height, that puts you in the correct range. Most manufacturers will provide a size range saying how many inches of torso length each size range covers. As such, you should choose a backpack depending on your torso length. Most of the backpacks available today are internal framed packs. This simply means that the support rods and frame are inside the backpack and cannot be seen. Nonetheless, external-frame backpacks are also available. With the external-frame backpacks the rods are different from the actual pack and stick out. A backpack with an internal frame looks better than the ones with an internal frame. Additionally, its rods will not get caught on anything and your bag will also be slimmer thus making moving easier. Internal-frame packs have a tendency to of being lighter as the frame is made up of a carbon fiber or tough plastic hence making them easier on your back as well as being long lasting. Aside from that, the Osprey Atmos 65 AG is efficient when it comes to distributing weight, preventing your body to experience pressure in the hot spots and other frictions areas. 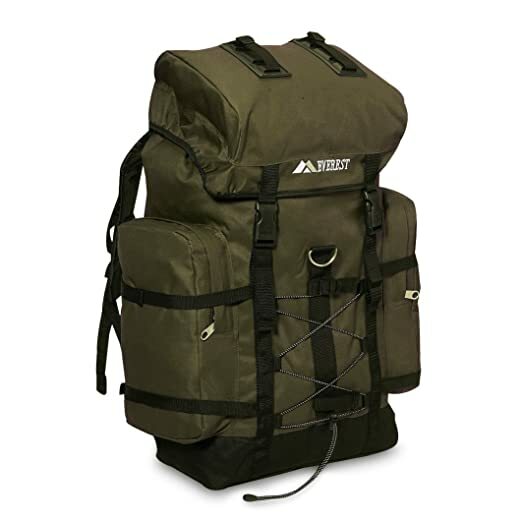 Moreover, the Osprey Atmos 65 AG has three sizes available. All of them offers the “Fit on the Fly” feature, which is an adjustment system for you to find the right strapping tightness in your shoulder. Aside from this, this technology allows its users to adjust the strap based on the length of their torso. Its hip belt also has a six inches adjustment setting, which enables any user to find the most comfortable strapping on the waist belt. The Osprey Atmos 65 has a myriad of pockets of different sizes for maximum storage of your hiking equipment. It has two large hip-belt pockets, which is among the biggest in all of the backpacks that we tried. It can even cater sensitive items like a point-and-shoot camera. Moreover, its dual side mesh allows you to store water bottles either in angled or traditional position for easy access. Lastly, it has a beavertail that let you carry any awkward items such as camp sandals and bottles of fuel. The adage “last but not the least” perfectly applies to the North Face Banchee 65 backpack. Being included in our list of the best backpacks for hiking means that this climbing gear has all that it takes. Even though the North Face Banchee 65 is on the heavier spectrum, it is still surprisingly comfortable. We tested and tried this backpack in different hiking occasions, and we found out that it has a pleasant back panel and shoulder straps. Even if you rub the outer face to your skin, it doesn’t feel itchy and annoying. The North Face Banchee 65 is a good choice if for loads of up to 45-50 pounds. It has an efficient way to weight dispersion; hence, you can expect that this backpack can serve you well on extended trips. Of course, the North Face Banchee 65 can’t live up as one of the best hiking backpacks if it doesn’t have a burly suspension. You can use this pack for cross country traverses and long mountaineering without having the worry of it breaking. It can efficiently handle loads of 45 pounds, without giving pressure to your body. The North Face Banchee 65 also has the highest number of pockets for a hiking backpack. Aside from its eight pockets, it also has beaver tail storage. The adage “last but not the least” perfectly applies to the North Face Banchee 65 backpack. Being included in our list of the best backpacks for hiking means that this climbing gear has all that it takes.Even though the North Face Banchee 65 is on the heavier spectrum, it is still surprisingly comfortable. We tested and tried this backpack in different hiking occasions, and we found out that it has a pleasant back panel and shoulder straps. Even if you rub the outer face to your skin, it doesn’t feel itchy and annoying. You can never set aside OutdoorMaster Hiking Backpack as one of your choices in the best backpacks for hiking. It has all the qualities that you are looking for a backpack that can survive several hiking climates and condition. Moreover, it is quite roomy that it has a maximum capacity of 50 liters. Specifically, the OutdoorMaster Hiking Backpack has its entire construction covered with exceptional foam to make it comfortable to carry. It has a set of sophisticated shoulder straps that enables it to provide comfort to our body even if we are carrying heavy loads. Aside from that, the face fabric of the straps feels smooth even it gets in contact with our skin. Moreover, it has a ventilation system that lets it cool even we carry it for an extended period. The hip-belt of OutdoorMaster Hiking Backpack also has a foam padding that lets you lift 40 pounds without feeling stress or grogginess. When there is nothing inside it, this backpack is one of the lightest out there lighter than the Kelty Coyote or Deuter Air Contact. When it comes to suspension, this backpack can flaunt anytime it wants. Among the backpacks we tried, it is one with the sturdiest suspension, which makes it carry weight with ease. Moreover, its suspension efficiently disperses weight so that you can take this backpack on any long trails without feeling any pressure. The storage of OutdoorMaster Hiking Backpack offers a pocket rich design, which you can find in front of the pack. The positioning of the pockets also allows easy access to your items. Moreover, it can also fit large tools. Furthermore, this backpack has a waterproof cover, which ensures the safety of your gears inside even if it is raining hard. One of the leading backpacks today is the Everest Hiking Pack. Do not get daunted by its name. This product is suitable for pro and amateur hikers alike. Specifically, this backpack is commonly used by hikers around the world because it can accommodate hefty loads (around 60 pounds or more). Aside from that, this backpack is ideal when you are planning for extended trips on the mountain. 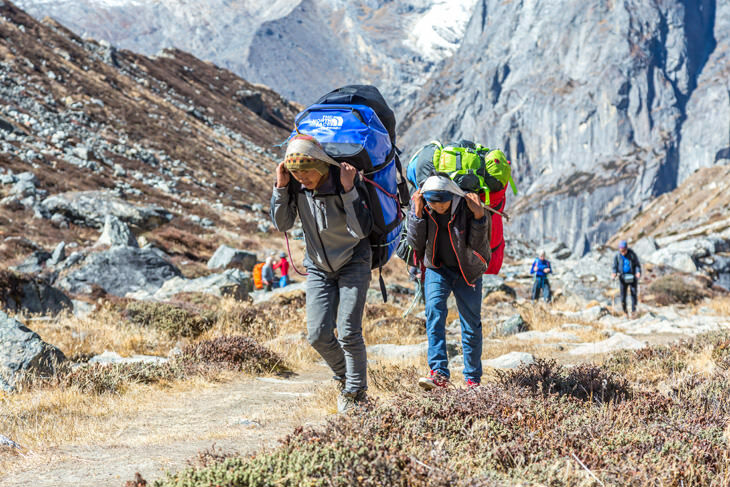 Moreover, we know that most of the Everest backpacks are heavy, but this one is an exemption. When it comes to matters of comfort, the Everest Hiking Pack is simply the best. 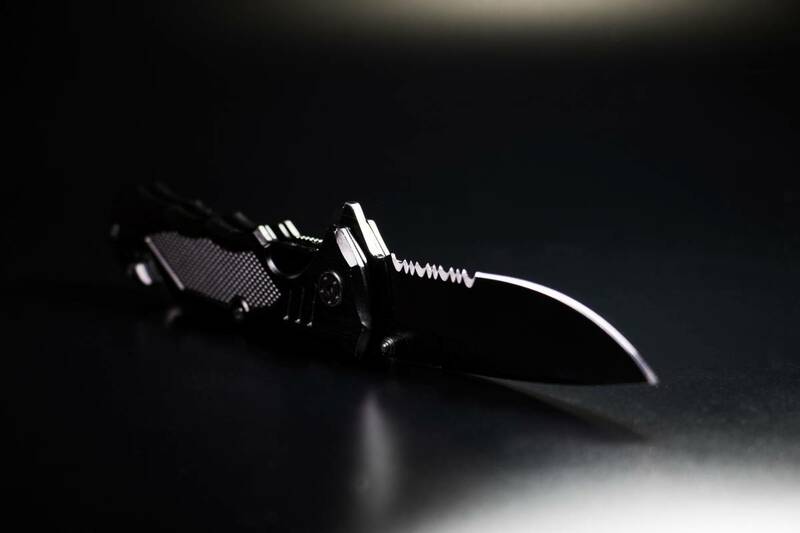 It has a unique design that efficiently disperses the weight while you carry it. Moreover, the design of this backpack can prevent your body from feeling sores and pressure. This is the reason why this backpack is ideal for long outdoor trips. Of course, the shoulder and hip straps has sufficient foam padding and adjustment system so that this backpack can fit your body size. It has a snap buckle system that efficiently secures the main compartment. Aside from that, it has a bungee organizer so that you can store bulky items. Its side compression straps ensure that your gears are fully secured. Moreover, its suspension is stronger than Osprey Atmos 65, which means that this backpack is insanely durable. Aside from that, the suspension system of Gregory Baltoro 65 lets the waist belt and shoulder straps pivot automatically based on your movement. This enables efficient weight distribution and comfort. One feature that you will surely love about this backpack is its adjustable torso. It can go high from 15 inches up to 19.5 inches. If you have a long torso, then this backpack is the right one for you! The straps are also fully adjustable for perfect sizing and comfort.Aside from that, it has a mesh lumbar support to prevent your lower back from aching. Moreover, this backpack has compressions straps so that you can fit your sleeping bag, tent, or pad snugly and securely. The location of the compartment for the sleeping bag is at the bottom of the backpack for easy access. You can access via a front zipper. 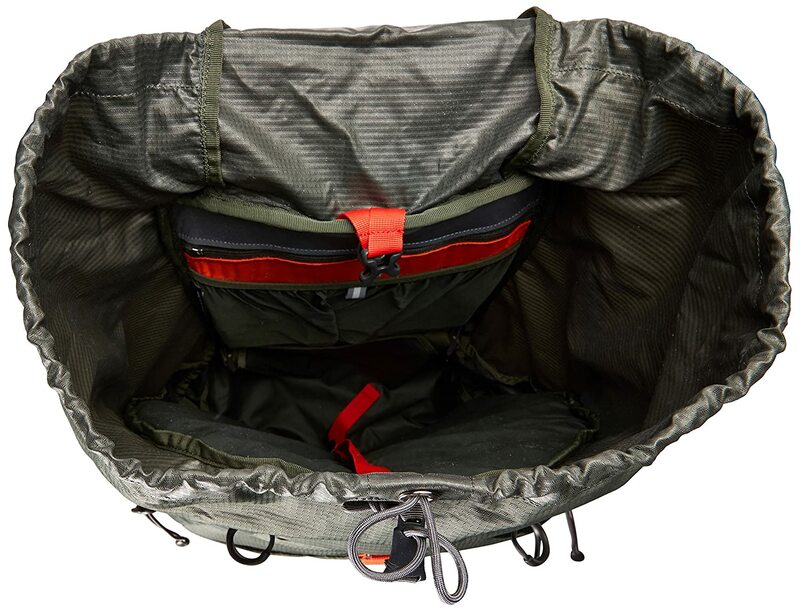 The Teton Sports Scout 3400 has several mesh storage pockets to store your other camping amenities. Its main compartment uses two barrel lock drawstrings to keep all your items inside safe. Moreover, you can hang your ski poles, shovels, and ice axe on this backpack, thanks to its gear loops. Lastly, the Teton Sports Scout 3400 has an integrated rainfly to protect the backpack from any wet conditions. The presence of rainfly justifies that the entire construction of this backpack is not waterproof. All of these above backpacks were carefully chosen, not only by reviewing them but by taking them to the test directly. We also asked the help of some of our mountaineering friends to test these products. Apparently, these five are in the lead when it comes to best hiking backpacks. They possess the important features that are necessary for a hiking backpack such as superb comfort, suspension, and durability. Moreover, these backpacks are indeed rigid respectively, which makes them ideal to any extreme climbs. They can carry an impressive amount of load without stressing your body. 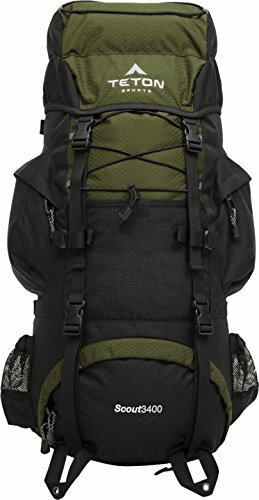 Among them, we declare the Osprey Men’s Atmos 65 Backpack as the best backpack for hiking. It has the highest weight capacity and has the sturdiest construction also. However, we advise you also to try the other backpacks that we featured. By doing this, you can actually determine which backpack suits your preference and comfort! Do you have any comments, questions, and suggestions? Ask us! Love to hear from you!